To enter the British Virgin Islands, you will need a passport. The airport departure tax is $30 per person. Your quickest option is to fly into San Juan on the many airlines servicing that hub year all year. Then fly a 40-minute charter to Virgin Gorda’s delightful airport with CHARTER FLIGHTS CARIBBEAN if you have 6-8 passengers. Their service is excellent and rates are competitive. If you need charter service for 5 passengers, AIR PARADISE is a popular choice. Two scheduled airlines currently fly into Virgin Gorda’s airport: Cape Air and Air Sunshine. Or fly Cape Air, Seaborne, or Air Sunshine to Tortola and take Speedy’s Ferry from Beef Island airport to Spanish Town, Virgin Gorda. If you have an arrival in San Juan after 4 p.m., this last option is very helpful. 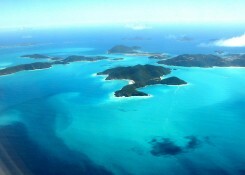 You can fly into St. Thomas, USVI and take a short, 20-minute flight on a charter flight to Virgin Gorda. 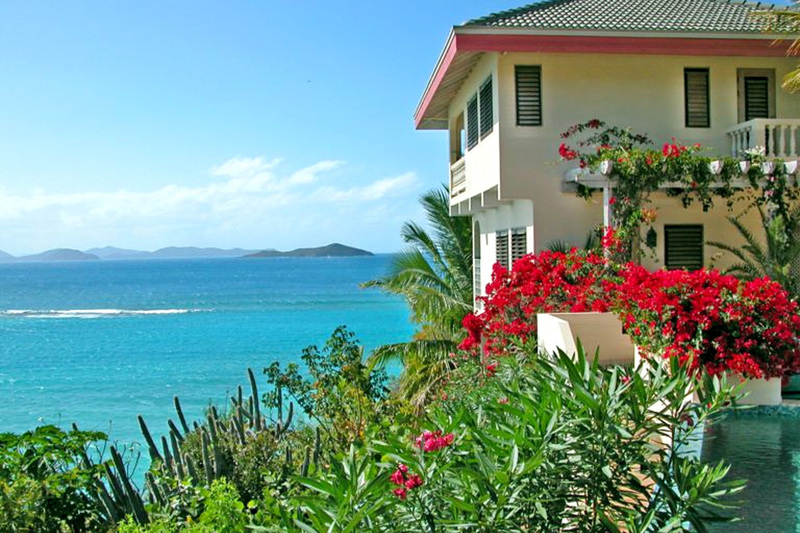 Or take a 15-minute taxi ride from the airport to the Charlotte Amalie Harbor to the ferry dock. A 40-minute, non-stop SPEEDY’S ferry departs at 4 p.m. on Saturday and takes you to Virgin Gorda, BVI. Your incoming flight should land by 2 p.m. for the ferry option. The return ferry departs Spanish Town, Virgin Gorda at 8:30 a.m. Saturday morning. Plan on a return flight home departing St. Thomas no earlier than 1 p.m. because it is a “3-hour TSA airport.” For more flexibility, you can hire a water taxi to Virgin Gorda from Charlotte Amalie or from Virgin Gorda to Charlotte Amalie. After a day of travel, we understand want to arrive at the villa as quickly and smoothly as possible. We have a plan for that. We recommend that you rent a car for the week from friendly and reliable L&S Rentals. Our staff will be happy to make the arrangements for you, with no deposit required. Guests in your group who are over the age of 21 can drive the vehicle with no additional charge if they record their driver’s license numbers with L&S. Upon arrival, you will be met with your vehicle at the airport or ferry dock by an accommodating representative from L&S Rentals and warmly welcomed. Your luggage will be put into the L&S representative’s car if you need the space, and he will show you the way to Mango Bay Resort, A Dream Come True Villa’s management company. While your luggage is being taken into the villa, you will be checked-in quickly by the Resort Manager. Then you will be shown all the amenities and comforts awaiting you at A Dream Come True Estate. Choosing your favorite bedroom suite will be a delight, and you are sure to enjoy your first sunset in your Virgin Gorda home! 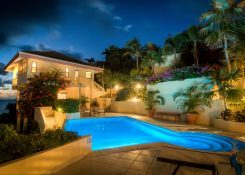 You have the option of having the villa expertly provisioned in advance by Chef Tucker at 25% additional cost. 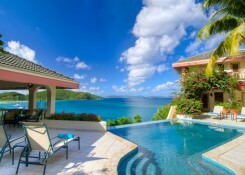 He has access to organic meats, fruits, veggies, and salad greens, plus a wide variety of groceries from Tortola. Imagine: The chef will be arriving soon after your tour of the villa for your complimentary, delicious Welcome Dinner. Relax, your stay in your private paradise has begun! In addition to provisioning of the villa with groceries, wine, and liquor, we offer Chef Tucker’s catering for breakfast, lunch and dinner; a variety of spa services at A Dream Come True Villa; plus babysitting ~ at an extra charge. Arrives Spanish Town, Virgin Gorda 5:30 pm. Arrives Charlotte Amalie, St. Thomas, USVI, 10:00 am. and Spanish Town, Virgin Gorda. SPEEDY’S, SMITH’S, and SENSATION ferries run between Virgin Gorda and Road Town, Tortola. Their schedules are available online.